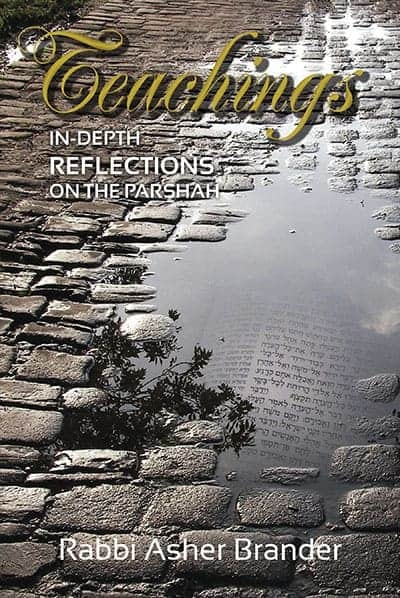 Warning: This volume of Teachings: In-Depth Reflections on the Torah is not for those looking for a hit-and-run vort (word of Torah). It is also not for those seeking an all-encompassing analysis of a parshah sugya (topic). The Torah is many things. It is a gift, a book, a yoke, a window, a covenant, a heritage. It is also a song. A song can elevate the saddest of hearts and humble the proudest of minds. A song should bring simchah.Teachings maintains a light touch, often engaging in humor to make a point. A song can be sung by various singers. Teachings presents multiple solutions to questions found in the Torah. A song should be profound and thought-provoking. Teachings accesses a wide range of mostly classical sources, bringing the yeshiva to you and making the Torah's song accessible to a wide spectrum of Jews. Torah learning to result in Torah living. Rabbi Asher Brander was Rabbi of the Westwood Kehilla for 17 years, is the Founder & Rav of the LINK (Los Angeles Intercommunity) Kollel & Shul, and has taught in Yeshiva High Schools for over 20 years. Born in Oak Park, Michigan, Rabbi Brander grew up in Kew Gardens Hills, learned in Yeshivat Chofetz Chaim, Yeshivat Sha’alvim, Yeshiva University, Gruss Kollel & YULA Kollel. He received his B.A. in Computer Science from YU and Semicha from RIETS in 1991 and completed an M.A. in Jewish Secondary Education from Yeshiva University’s Azrieli Graduate Institute. He and his wife, Batyah, and their three children have been living in Los Angeles since 1990. His charisma, energy, and upbeat personality contributed to the development of the kehillah. Rabbi Brander is a popular lecturer, frequent contributor to various newspapers and Torah journals, pens a weekly Torah column, Reflections, and is an original Jewish thinker and author.